Every night is different at the Point, from zany dress-up dinners to meaningful moments around the campfire. 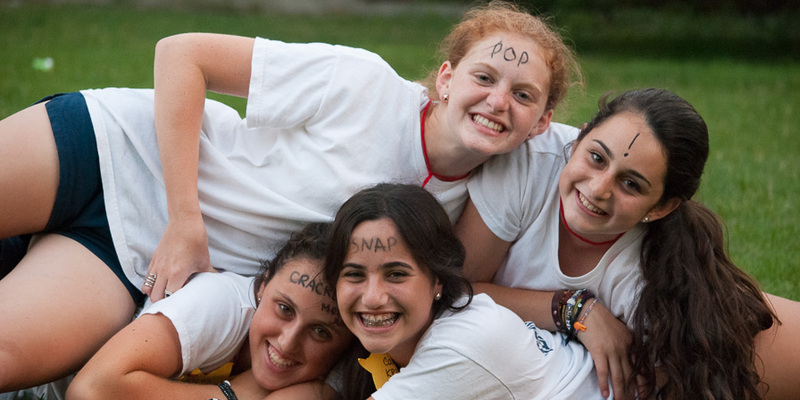 Evening activities bring the entire camp together for a fun and exciting event. 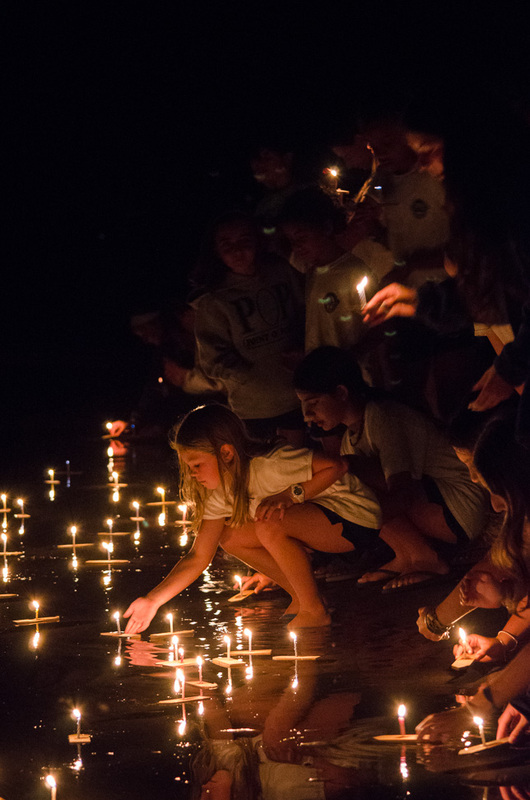 Point O’Pines is a community, and these camp-wide events help to create a bond among girls of all ages. Our evening activities may be campfires, Broadway shows, special entertainers, or traditional evenings, such as the costume-dinner party cabaret called Point O’Ritz. 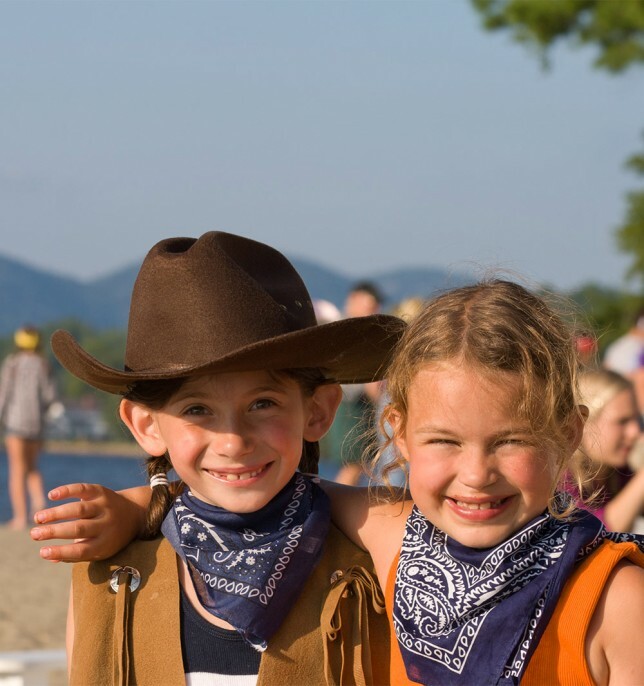 Other special evenings might include Western Night, 50’s Night, Drill Team Farm Night, a social for the older campers or Dress-Up Dance Fever Night for the younger campers. Team Competition is a highlight of every Point O’Pines summer. Team Competition begins with “Break-Out” when the camper-elected team leaders announce the teams for that summer. Team events, such as the “wacked-up” relay, swim meet and tennis competition, are held every Sunday. The wacked-up relay is an all-camp relay including such outrageous events as reciting the alphabet backwards and swimming from dock to dock on your back reading a comic out loud. The culmination of Team Competition is the Team Sing, featuring songs and cheers written by campers. 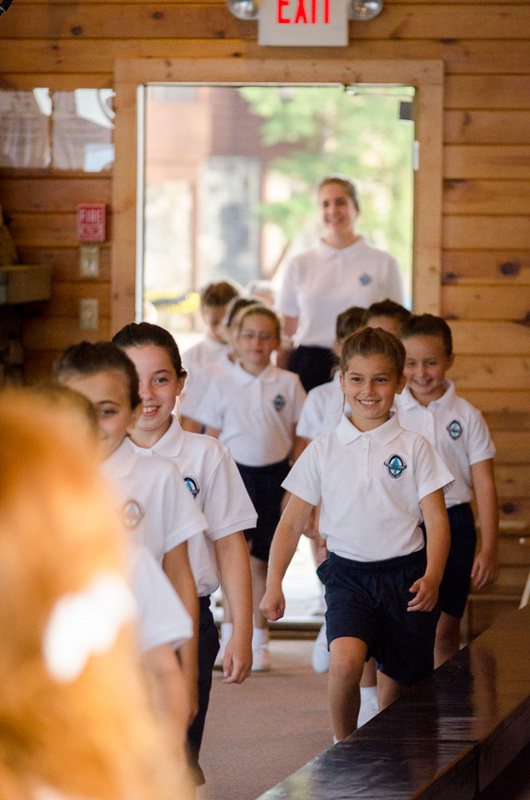 Team Sing is recorded for each camper on CD and provides a lasting memory of the summer. The competition closes with the announcement of the summer’s winning team with congratulations and appreciation for each camper, whichever her team. Team Competition includes something for everyone and establishes the opportunity for every camper to have an outstanding moment for her team. The experience of accomplishment in an area of personal expertise is rewarding and builds self-esteem. 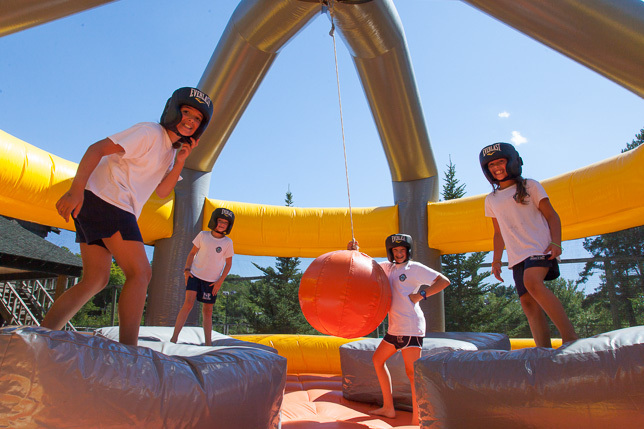 By having Team Competition on Sundays throughout the summer rather than an end-of-season color war, we ensure that the camp community places the right perspective on competition, and we avoid competitive strain on friendships.